It’s a common saying that everything is big in Texas so big is going to be a given in making Big Texas Cinnamon Rolls. 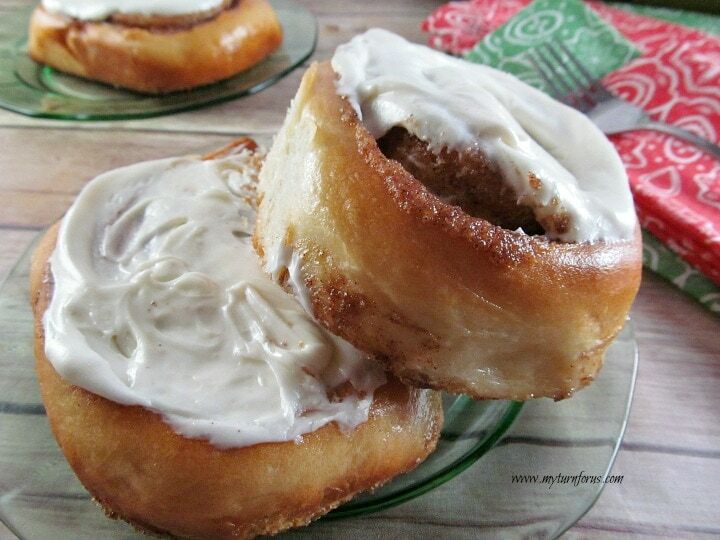 This Easy Cinnamon Roll recipe makes enough to share with family and friends but if wish to hide them for yourself we understand, we have done exactly that a few times in the past. 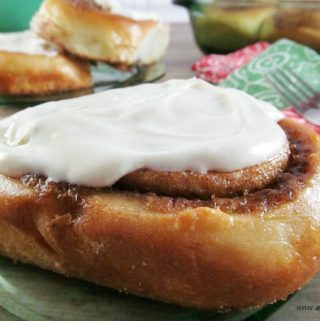 There are two kinds of people in the world, those that like frosting on their cinnamon rolls and…..
And those that don’t. We love them both ways and usually, when we make a batch of these simple cinnamon rolls, we serve them with and without frosting. 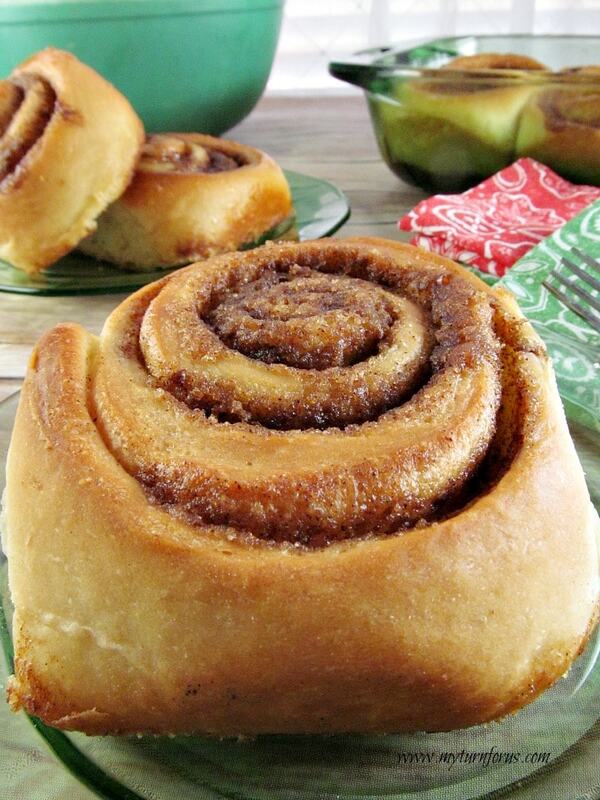 This Simple Cinnamon Roll recipe starts with the yeast dough. Instead of kneading the dough by hand we are using a dough hook on our KitchenAid mixer today. It always makes cooking more fun by having the right equipment, my daughter bought me a KitchenAid Mixer about 10 years ago and I use it 2-3 times each and every week. One of the Best gifts ever! But remember you only have an hour and I could spend the day nosing around in these sites so set a timer. Let the dough rise about double in size, we have a designated dough bowl and we know when it rises to the top, it’s ready. 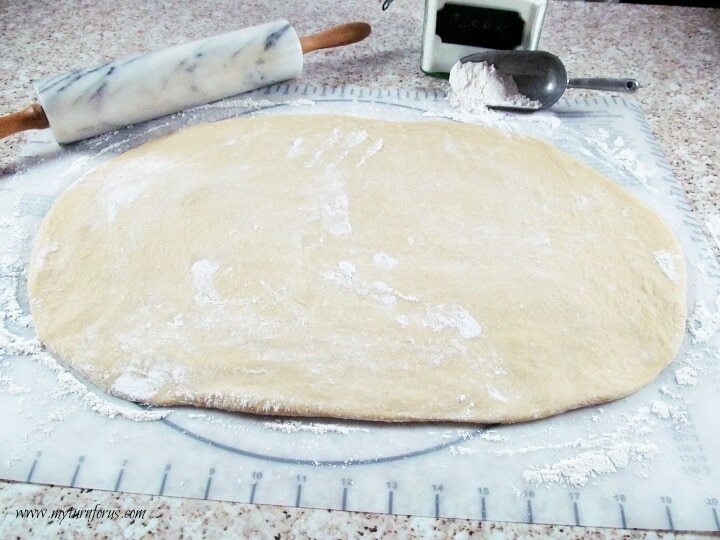 Divide dough by half and roll out in a 12 X 24-inch large rectangle. Our silicone bakers dough mat helps determine the size and is easier than judging the thickness. 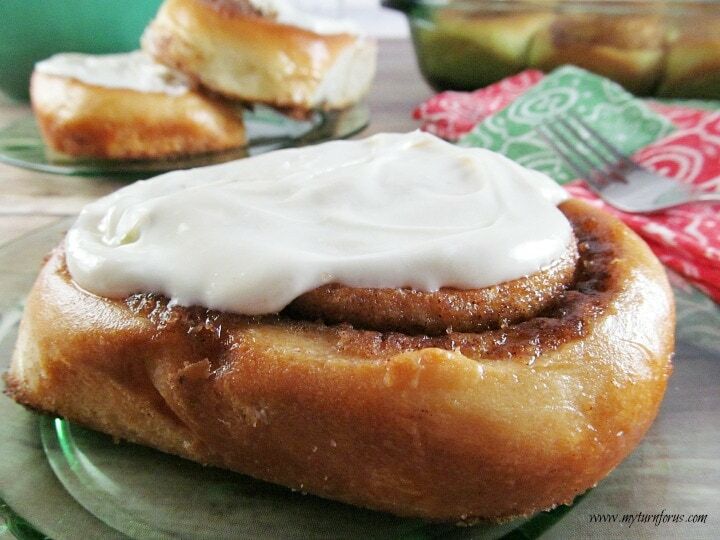 When we called these Texas Cinnamon Rolls, we knew they had to be big but oh goodness. This is just half of the dough, it looks like we should have plenty for our family and friends. 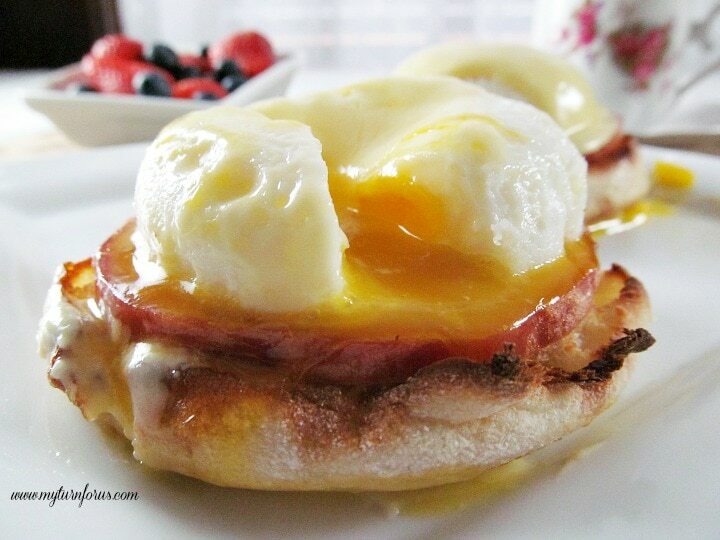 Be sure not to place these rolls too close together since they will need plenty of room to rise. Now, this is a Perfect Big Texas Cinnamon Roll. I’m not sure if I can wait for the frosting to try these. 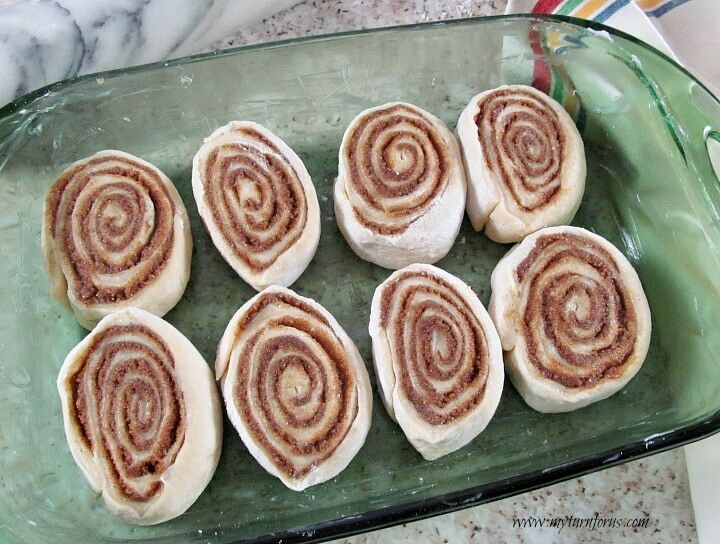 For a different look to your Texas Cinnamon Rolls, they could also be placed on a large cookie sheet farther apart to allow for the sides to brown. These Rolls don’t even need the icing, they are so good without it but it sure doesn’t hurt. 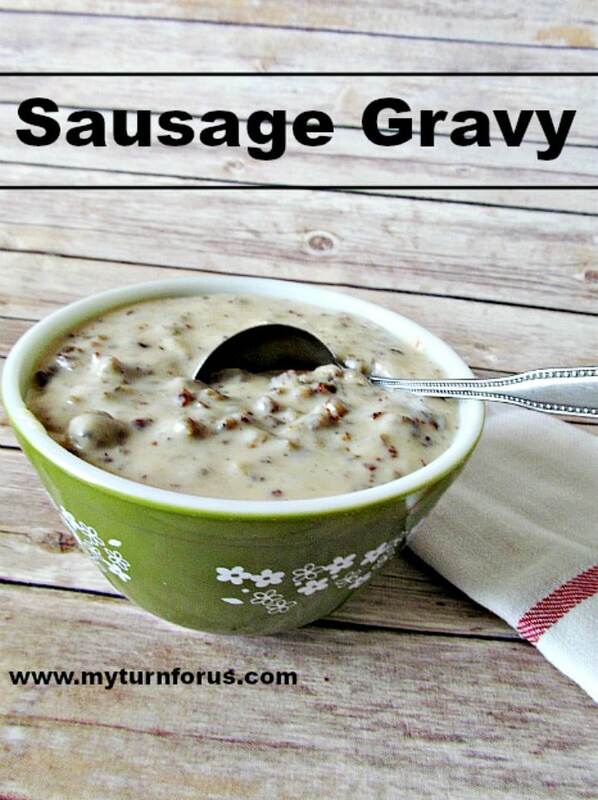 In a small saucepan add butter, milk, 3/4 cup of the sugar, and the salt. Heat until the butter is melted, remove from heat and set aside. In a large mixing bowl, add warm water, sugar, and salt, stir to dissolve. Sprinkle the yeast over the water mixture, stir, and set aside in a warm place for 10 minutes to proof, until the mixture appears foamy. In a small bowl, beat the eggs then add the mixing bowl and beat until well combined. Add the flour 1 cup at a time, stirring and using enough flour to form a stiff dough. 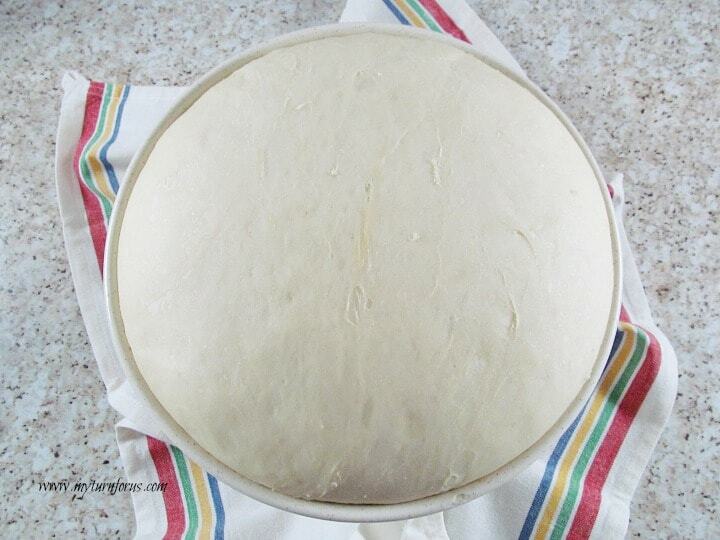 Either use a dough hook on a mixer or turn out on a floured board and knead until smooth and satiny, about 10 minutes. 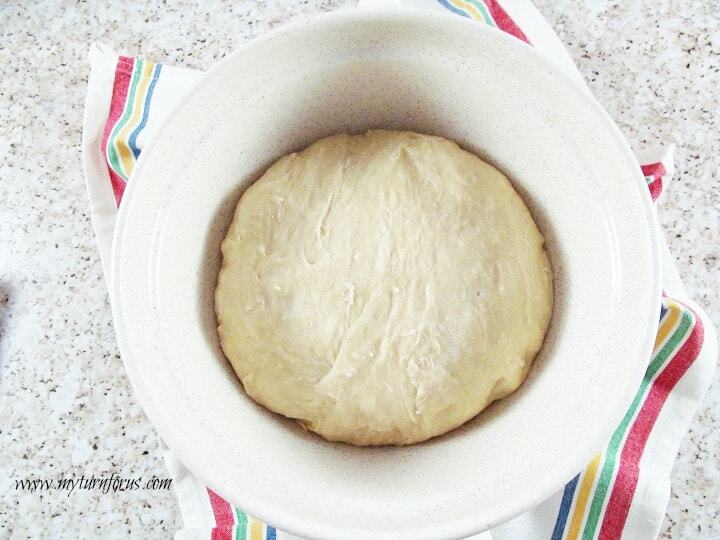 Place the dough in a very large bowl that has been buttered, turn to butter the top, and allow to rise, covered loosely with a kitchen towel, in a warm place until doubled in bulk, about 1 hour. Add brown sugar, room temperature butter, and cinnamon. Beat until well combined. Take one half and roll out to a large rectangle, about 24 x 12 inches. 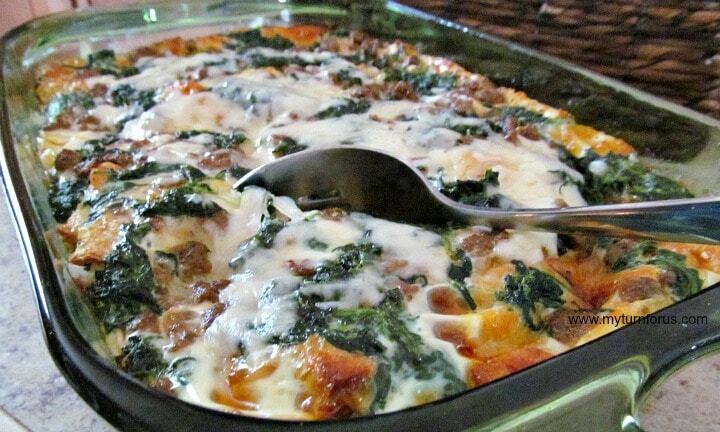 Spread half the filling evenly over the surface of the dough. Cover loosely with a kitchen towel and allow to rise until doubled in bulk, about 1 hour. 10. Bake the rolls for 20 to 30 minutes, or until puffed and browned. Cool to room temperature in the pans on racks. Add cream cheese, whipping cream, and vanilla in a medium bowl beat with an electric mixer until well combined. Good grief, these look amazing!!!!!! 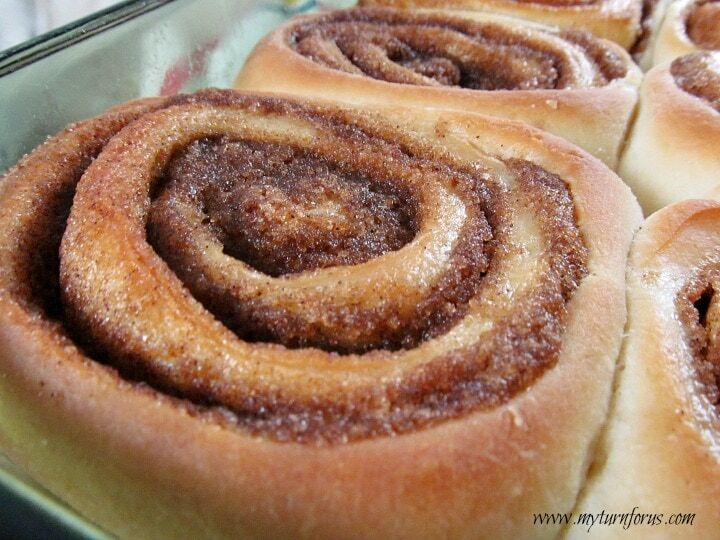 Those look like some darn good cinnamon rolls! I am going to see if this service is available in my area! I love that the prices are the same as in store. I've done a grocery pick up before and the prices were WAY different than the in store price. OH my goodness!!!!! I can dye now!!! WOW those looks absolutely amazing! Can you send me some to Spain???? Oh my heart! These look ah-mazing! Pinning to try! Making these now to pair with my morning cup of coffee. Thanks for helping to start my Saturday off right. Oh my goodness… those look out of this world! I absolutely love how huge they are! I can't wait until this is available in my area. Plus, your cinnamon rolls look amazing! I've used the store pick up several times now, love it! Your recipe says it makes 8, however the picture shows 8 and the instructions say it is only half the dough. So how many does this make? We divided the dough into half to make it easier to work with but we used both halves (see step 7 under “to assemble”. Each half of the dough will make 8 rolls and we used two pans. I allowed two rolls per person so it will serve 8. Thank you so much for your interest and hope I have explained well.